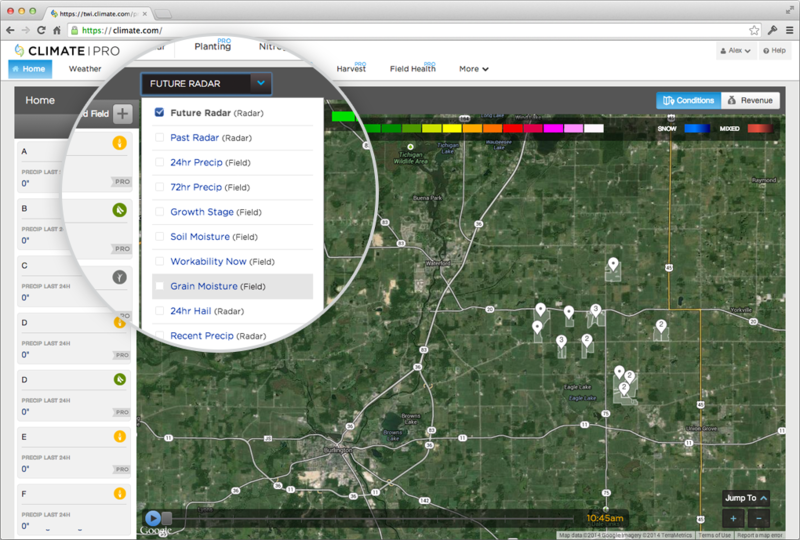 One of the goals of Climate BasicTM is to give useful field-insights to help you with decisions throughout the season. Having an accurate growth stage model is essential to providing you with a reliable view of your crop’s growth stage and grain moisture. Earlier this season we learned – based on your feedback and our field trials – that in some locations our corn growth stage model was several stages ahead of what was being seen in the field. When you were seeing V5 in the field, we were reporting V7. Thanks to your feedback, the information you provided and data from our own field trials, we were able to ground-truth our models. Our science team investigated the data set to identify the problem and implement a fix. 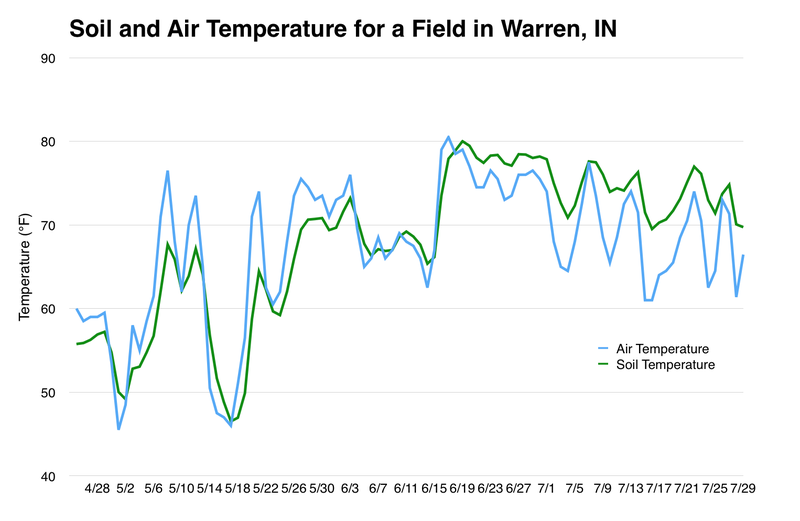 In warm soils corn typically emerges in 3 to 4 days, but with this season’s cooler soils it took longer for crop to emerge in different regions – sometimes as much as 21 to 25 days. This may or may not have affected stand counts, but it did affect the advancement of vegetative growth stages. Our model did not correctly account for this difference. Having identified the problem, we adjusted the model to account for the differences we saw. Since then we have continued to test the model and ground truth it. As of today you will see the updated and more accurate Growth Stage Tracker in Climate BasicTM. The Growth Stage Tracker will help you track your corn’s progress up to black layer (R6). At that point Climate Basic™ can also provide you with field-level grain moisture estimates to help you figure out when each field is ready to harvest. Simply click on the dropdown menu and select “Grain Moisture” to see an estimate for each field. If you are a Climate ProTM customer, you will also be able see a range of recommended harvest dates based on your target grain moisture. We strive to provide you with the most accurate models possible, and use the data you report to help us learn and constantly improve. If you see something in Climate BasicTM or Climate ProTMthat doesn’t look accurate, we want to hear from you. To give us feedback, send an email to feedback@climate.com or call us at (888) 924-7475. If you would be willing to stage a field and report your findings, we would appreciate the opportunity to learn from your operation. Click here to get started. Going to Farm Progress? Come and say hello!